Ask almost any real estate agent what their value is to their client and most will say (for the seller) “getting the property sold quickly, and for greatest value”, and (for the buyer), “Finding you the house that meets all your expectations and negotiating the best price”. And, that’s true. The Multiple Listing Service, and its broad syndication to multiple house-listing websites, exposes the offering to a very large audience. And, an agent’s knowledge of the current market, and negotiation experience, combine to keep the accepted offer price at the highest current-market value. However, for buyers or sellers, the response the agent should give to the client is that his/her real value is acting as their risk manager. Put another way, a good real estate agent acts as the client’s Property Purchase, or Property Sale, Consultant. 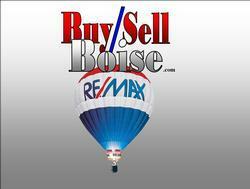 Selling or buying a house is a high-value transaction. During the course of the transaction, there are performance requirements which, if not expertly managed, could either change the value of the transaction, end or invalidate the contract, or, alter the critical closing date of the transaction. In addition, we have encountered numerous other property, or transaction issues which can arise and threaten the transaction. Our objective is to always manage the transaction with the client’s best interest in mind. Like-minded agents are those who you will find strive to be the best, by continuously working to add to their knowledge, and refine their skills. These are the agents whom you want to engage to manage your purchase or sale.